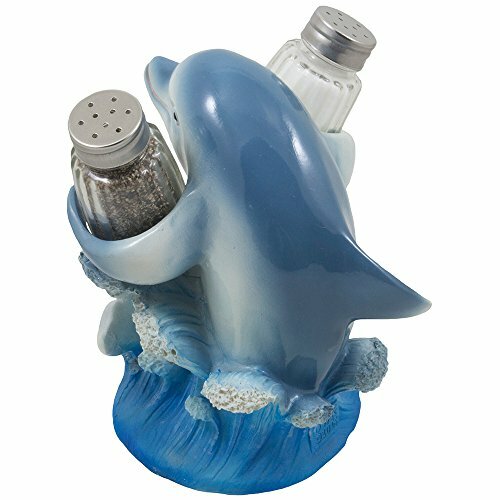 Bring the feel and ambiance of the lovely sea to the kitchen and dining table with this Dolphin-shaped Salt and Pepper holder. It is a great gift for friends who can’t get enough of the beach, and friends who are nature and animal lovers as well! It is also a stylish way to add more flavor to every meal. When we say beach, we often think about stuff like flip flops, towels, sunscreen, sunglasses, bikinis, hats, or board shorts. Most people who love the beach know that too well, but for those who really like to take the beach home with them, we can only do so much via home decors, accents and color palettes. 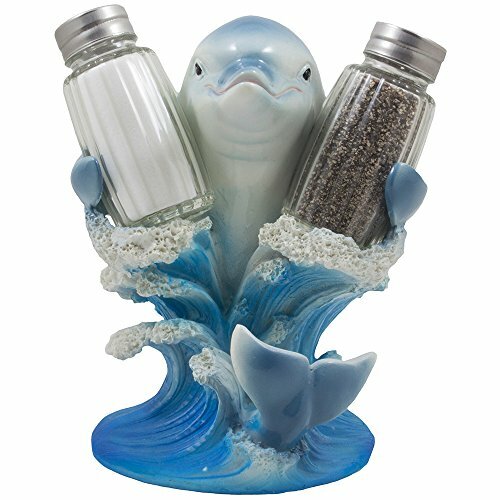 And now, you can give the kitchen or dining table a touch of the sea with a Dolphin-shaped salt and pepper holder set! Add flavor and spice to your meals with a stylish touch of this beach-themed set. 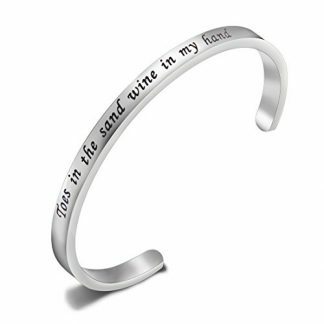 If you have a friend who loves the beach, or is very close to nature and animals, this is the perfect gift to be given on special events and occasions. Tell them that these friendly Dolphins have rose up from the sea just to spray their meals with the salty taste of the Ocean! Dimensions: 5 5/8″ x 5 3/4″ x 6 5/8″ high. Color may vary slightly from what is pictured here. 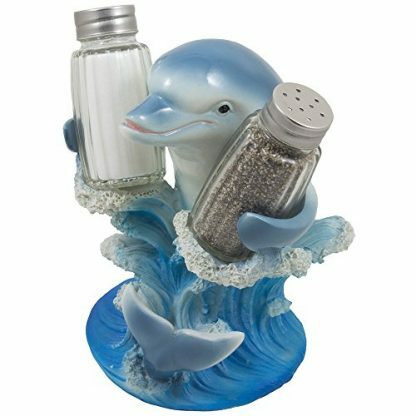 Piece includes one decorative Dolphin/Porpoise sculpture as display stand with 2 glasses as salt and pepper shakers. 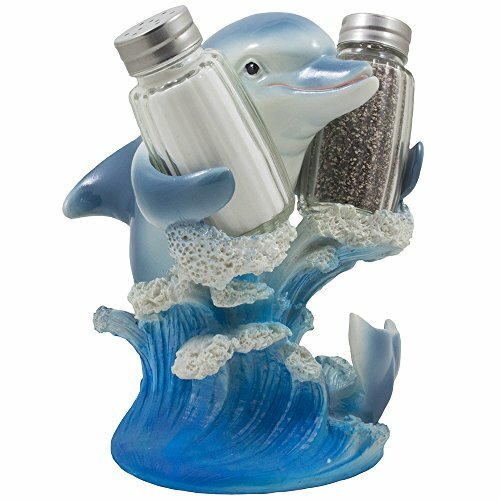 This lovely beach-themed salt and pepper holder set is perfect for friends and loved ones who has put up a marine-themed kitchen or dining area. 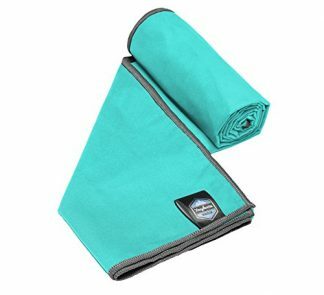 It can complement a beach or nautical-themed home with its Dolphin design and blue colors that truly represent the Ocean and its glorious waves! This could be a great Holiday or birthday gift, and it can also be given as a graduation gift to a friend who just finished a degree in cooking, food tech/preparation, Hotel and Restaurant Management, or any culinary course. It will not just help them add flavor to their meals, but it also doubles as a great accessory in their kitchen too!